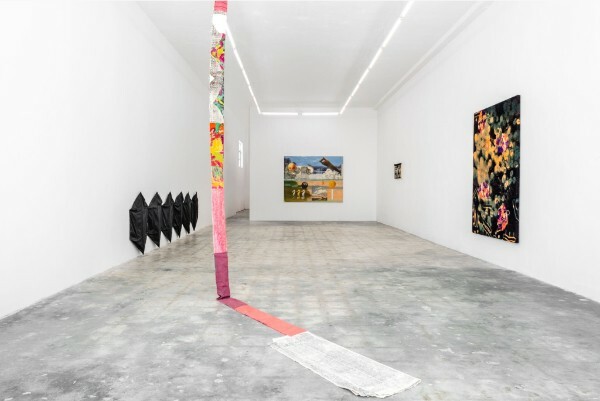 Hyde Park Art Center is proud to announce the return of Ground Floor, the fifth iteration of the biennial exhibition that features artwork by some of Chicago’s most promising emergent talent. This exhibition brings together three artists whose nuanced and abiding interests in weaving, fiber, and textile arts evoke the multilinear progression of both thought and material that Albers describes. Tile Blush is pleased to announce our current exhibition Painting: Network of Escape, curated by Joseriberto Perez with text by Eddie Negron. Opening Reception: Friday, March 23 at 5:00 p.m. 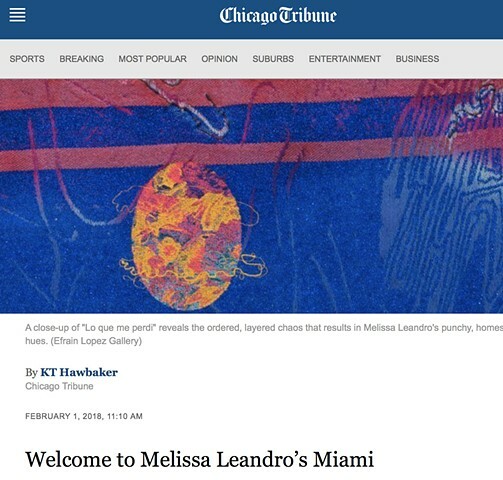 Welcome to Melissa Leandro’s Miami. 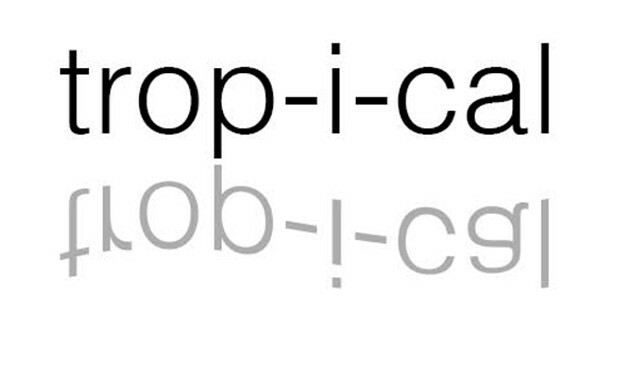 'Trop-i-cal' weaves together narrative of family, and dislocation. 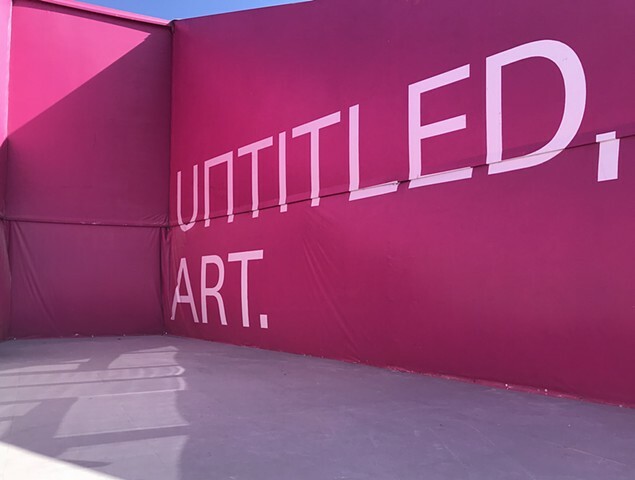 The Unsolicited Sideshow is a pop-up exhibition and event series that explores how the contemporary condition of ‘otherness’ informs architectural expression. It opens at the Chicago Athletic Association Hotel as a corollary exhibit to the 2017 Chicago Architecture Biennial’s main stage at the Chicago Cultural Center. Oral Historian, Elisa Shoenberger is interviewing women and/or people who identify as female who work in an artistic field who live in Chicago. 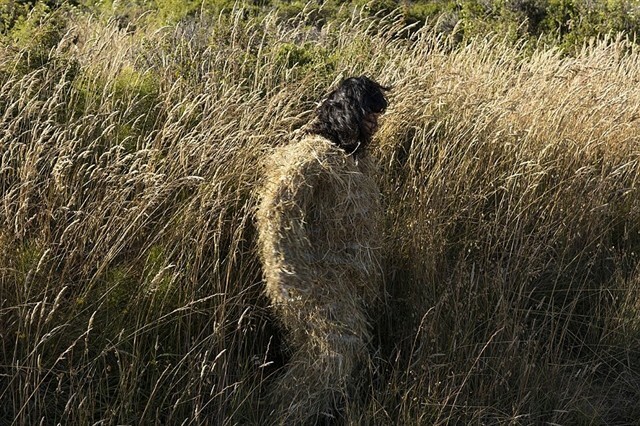 Good looking: A survey of contemporary Latino art. 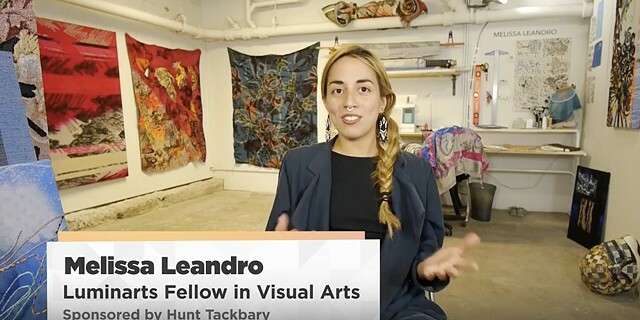 Paula Calvo interviewed one of the winners of the Dimensions of an Artist Grant (Melissa Leandro), which was sponsored by the School of the Art Institute of Chicago’s Student Government. A thoughtful examination of visual art, in and around the city. 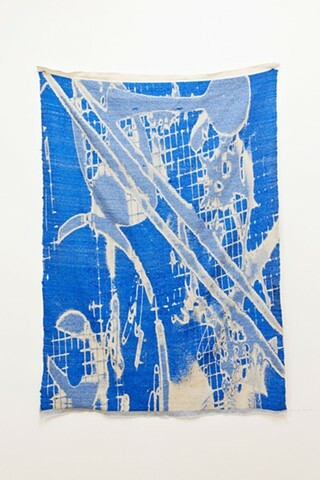 Melissa Leandro received her BFA in Fibers and Material Studies from School of the Art Institute of Chicago. Her work is very much tied to creating installations that combine both soft sculpture and sound art. 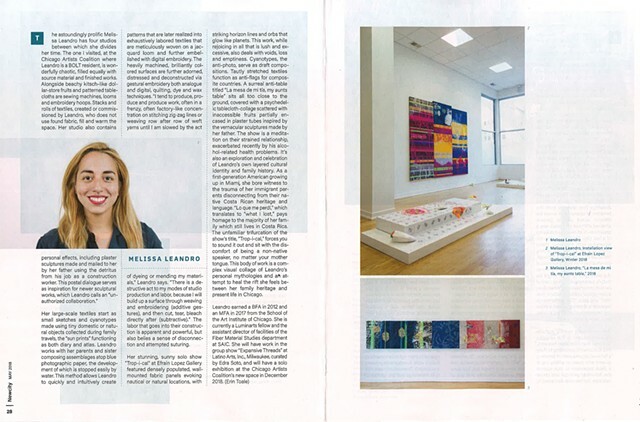 Her practice also involves weaving, both on the floor loom and Jacquard. 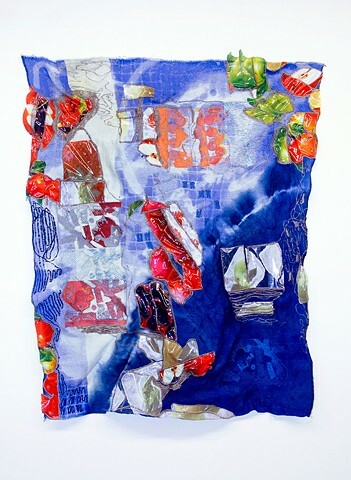 Youngblood: Homecoming 2012 is the fifth annual installment of the New World School of the Arts alumni show. 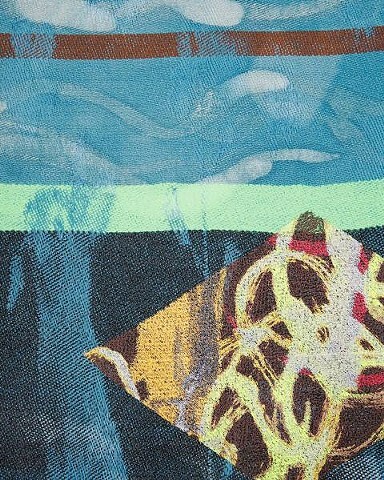 bold Welcome to our Textile blog! 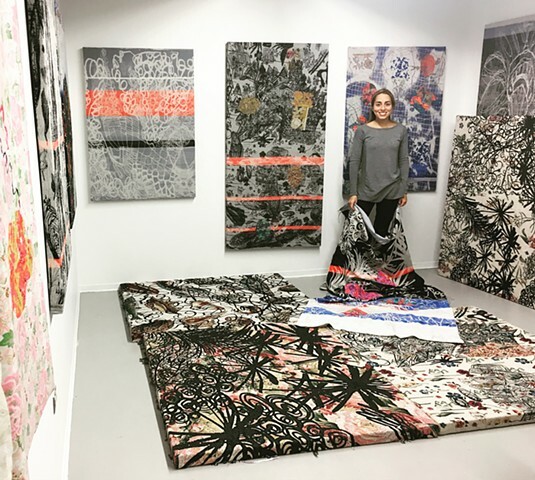 bold We showcase work from our Textile Department's faculty, monitors and students. 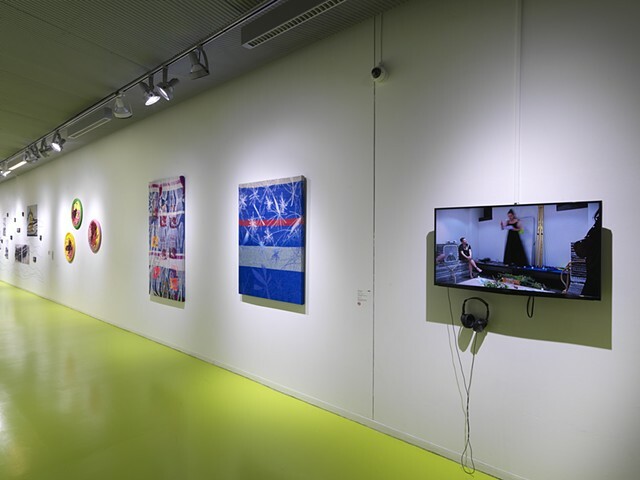 Our department is a growing community of artists who are interested in traditional and contemporary craft media. Artreach at Lillstreet is dedicated to bringing hands-on art experiences into your community. Whether your community is an elementary or high school, a nursing home, a church, an afterschool group or something completely different, we are there for you. Or take an on-site field trip to our sister organization, Lillstreet Art Center. Artreach at Lillstreet is a nonprofit organization providing high quality arts education and public art programs for people and communities in need and we believe all communities need art, with hands-on experiences in ceramics, painting & drawing, puppet & mask making, and more.